Saurabh Chatterjee, associate professor of environmental health sciences, will lead a research project that aims to further scientists’ understanding of the connection between the gut microbiome and Gulf War Illness (GWI) and advance related treatment options. 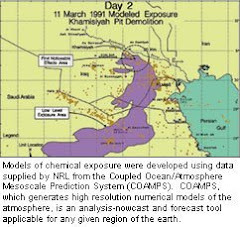 Characterized by symptoms such as chronic headache, cognitive difficulties, respiratory problems, sleep problems, gastrointestinal problems, and other unexplained medical abnormalities, there is increasing evidence that GWI is caused by environmental chemical exposure and preventive drugs taken by soldiers during deployment. 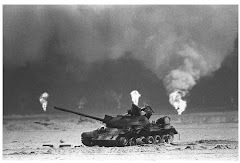 The condition continues to affect 25-32 percent of the 700,000 U.S. veterans who served in the 1990-1991 Persian Gulf War. With funding support from the Department of Defense Congressionally Directed Medical Research Program, Chatterjee and a group of researchers* from around the country will use the three-year grant to learn how to best treat patients with GWI. Working both in the lab and with Gulf War veterans, the researchers will further explore the relationship between the gut-microbiome and GWI symptom persistence and disease development. They will also investigate effective treatment options, such as probiotics, to help alleviate symptoms and improve quality of life for soldiers and veterans. The project builds on a pilot study conducted in Chatterjee’s Environmental Health and Disease Laboratory, where his team of scientists were the first to discover a link between the gastrointestinal disturbance (e.g., bloating, flatulence, indigestion) of GWI with changes in the intestinal microbiota. This foundational research also laid the groundwork for new treatment options, such as using probiotics to rebalance the gut-microbiome and prevent the transfer of harmful byproducts to the rest of the body. Previous studies have focused on neurological abnormalities (e.g., impairments to cognition, memory, and learning) associated with GWI. In addition to limiting their scope to neurological effects cause by GWI, these studies were also unable to uncover the pathways through which GWI affects the brain. *Investigators include Saurabh Chatterjee (University of South Carolina, Principal Investigator), Kimberly Sullivan (Boston University), Nancy Klimas (Nova Southeastern University), Stephen Lasley (University of Illinois), Ronnie Horner (University of South Carolina), Ratanesh Seth (University of South Carolina), M.B. Abou-Donia (Duke University), and Patricia Janulewicz (Boston University, Co-PI).